The Pardus Team has just announced the first release of the 2008 Pardus branch. This version brings important features such as support for new languages, a better network manager, two kinds of Live CDs and lots of upgrades, like the 3.5.10 and the 4.1.1 editions of KDE, the latest 2.6.25 Linux kernel (2.6.25.16), Mozilla Firefox 3.0.1 and more. · and many more free tools, most of them in their latest version. 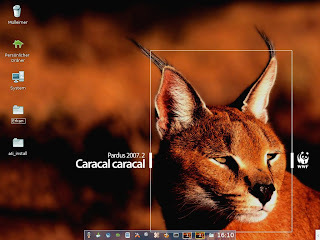 Get Pardus 2008.1 right now from here.